Spoken simply, with his hallmark warmth, humor, and compassion, here is Eckhart's full presentation of a beautiful way to live. To make the journey into The Power of Now you need to leave your analytical mind and its false created self, the ego, behind. Access to the Now is everywhere - in the body, the silence, and the space all around you. These are the keys to enter a state of inner peace. They can be used to bring you into the Now, the present moment, where problems do not exist. It is here you find your joy and are able to embrace your true self. It is here you discover that you are already complete and perfect. You may have to listen twice. But once you grasp the entire concept of being, this teaching will be life changing. This book is the key to unlocking the door to our spiritual awakening. The answers have truly been laying dormant in us all along. Are you interested in true personal enlightenment? Our present day existence is quickly becoming mired in negativity, unhappiness and confusion. Over working leads to stress, anxiety and depression. My doctor recently told me that 80% of his patient's visits are directly related to one of these. Mental health is silently under siege and becoming the most important health issue of our current era. Most of us are walking around disconnected from the true source/meaning of life, in an unconscious state taken over by the ego and the mind. We are constantly re-living the past and hoping for a better tomorrow all the while forgetting about the most important place of all, the Present. It is here and deep within ourselves that we can find and confront/heal our pains and be free from all fear, unhappiness and anger. Mr. Tolle is an expert in the subject matter because he personally has dealt with such in his own life. 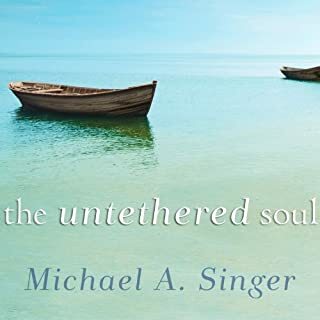 He has mixed his experiences with his adept interpretations from other spiritual and religious teachings and combined them in a way that makes perfect sense. I personally worked myself into the ground in the last year and have been slowly making my way back. I would never wish to relive that again but deep down inside I am glad it happened because I believe now that it was time for me to change my path in life (it's never too late). 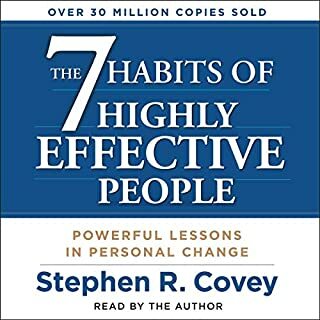 This book has opened my eyes and spirit anew, I have already made great strides in not only getting better but being happier and healthier than ever before. I believe that Mr. Tolle wrote this book not for $$$s like most out there, but because he truly understands & cares about the current state of people's being. I have read it twice and will read it again to reinforce the important teachings that he has bestowed in this book. If you are unhappy, wondering why you can't get over certain things from your past, or seem unable to get out of negative loops in your life... the time maybe now to get a fresh perspective and find the real meaning of it all deep down inside. Take care and I hope you find the profound enlightenment that I did inside these pages. Thank you Eckhart, you are a modern day Sage! I cannot overstate the wisdom contained in this book. I would not likely be able to read it, but somehow listening to Tolle speak, it makes sense. I am sincerely grateful for this book! 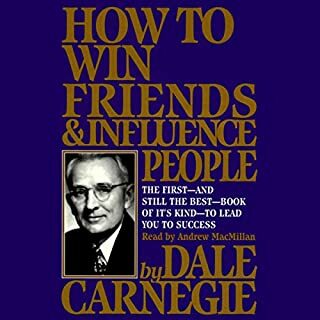 I’ve been applying the principles taught in this book and my life has changed. Living with PTSD & Depression, the teachings in this book have given me the tools needed to find my true self, long ago lost in this crazy world. Full of reminders to bring you back to present moment awareness. Be HERE, now. It s the only place there is, and it isn’t a place. Nor is it a time. It is, and I am. Now. Words cannot describe the change you will feel after reading and practicing the material in this book. by far the best read of my life! Extremely educating on the levels of self awareness pertaining to life ,and the understanding we have knowledge of this perceived universe.This is with respect towards our perception and the transition status ,we can achieve with wisdom and guidance through eternal learning . A very liberating read. I would recommend this to anyone who is looking to seek pure self realization and enlightenment. I have had Mr Tolle's books for years and then he came to Winnipeg so I purged listened to his two most famous books before going to his event. What can I say - his words are simple and the message clear. Live in the NOW and be happy. And by all means read/listen to this book. It will change your life. 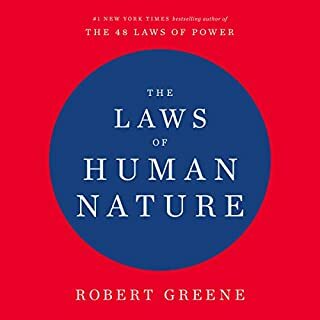 This book caused me to realize how much my mind (ego) is generally in control of me. 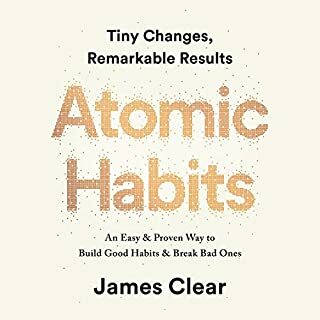 I had studied a number of meditative teachings, and already had the ideas in my head, but it was this book that catalyzed a clear transformation in me. 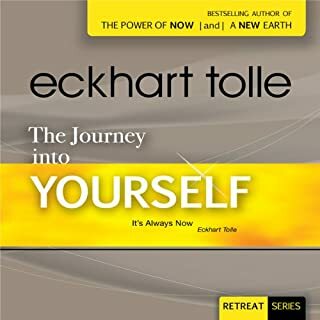 There were moments where Tolle's voice (as the narrator) caused me to observe my own presence. My mind wrestled with the book, and at several points it wanted to toss the book aside, dismissing it as new-age spiritual hoo-ha (and there may be points where you try to dismiss it this way, also). But in retrospect, as I live my life, it is impossible to ignore the essential truth that Tolle has put words to. Slowly, the moments are increasing where I feel liberated from my mind's patterns of control and obsession with past/future. 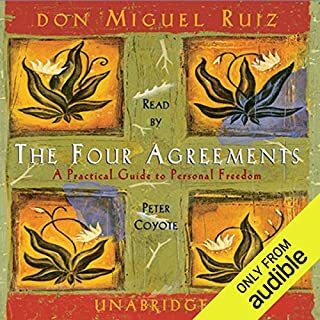 This was one of the most powerful books I have encountered. This is a book about spirituality, and if you choose to hear it this way, God. And at the same time I believe an atheist could listen and identify with it. 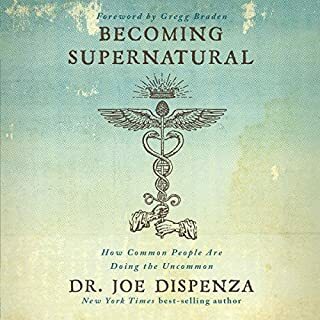 In fact one of the phenomenal things about this book is that an atheist, agnotstic, Christian, Muslim, and Buddhist could all sit with this book and identify with it in their own individual way, be it identifying with the individual, their god, or higher spiritual state of being. But the book isn&#8217;t about God, it&#8217;s simply about one&#8217;s self, the author just pulls together western religion, eastern religion, and individual awareness in one framework and shows, with examples from various religions, and mostly from individual experience, how they all point back to the same thing. 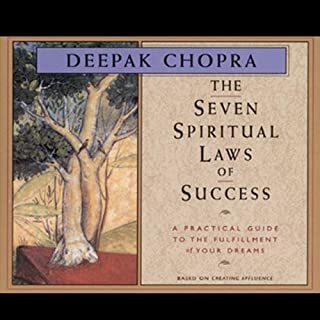 If spirituality is not something you are interested in, and in fact it is only very minimally what I am interested in, you could as easily read and identify with this book on the level of a personal psychology guide. 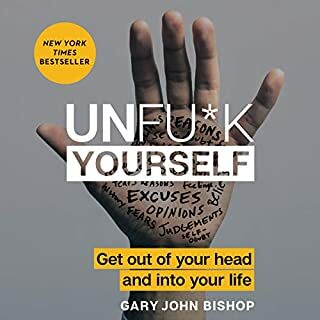 I believe that virtually anyone interested in their own well being will find that this book speaks to them on a level that makes sense for them in their life. To accomplish this is a truly magnificent feat, and the author has my deepest respect for accomplishing this seemingly impossible task. 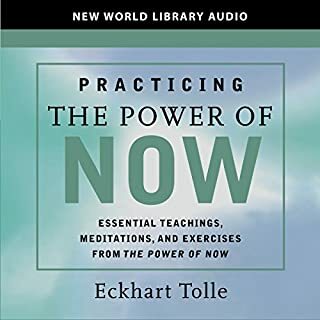 Eckhart Tolle's work, The Power of Now, is filled with wisdom, inspiration, and practical advice from beginning to end. He shows clearly how progress in the evolution of human consciousness is absolutely necessary for survival of life on this planet, and that it is up to each one of us to change our perception of the world in which we live if that progress is to take place. Tolle also shows how our tendency to dwell in the past and future obscures the present moment. In so doing, we fail to see what is necessary right now, thus we make wrong choices and decisions which lead to untold suffering for self and others. This work is a recipe for true happiness and if everyone followed the advice contained therein the world would be a happier place to live in. I have listened to it so many times now I have lost count. If I were shipwrecked on a desert island and I could take only one book, this would be it! Yes. 'Similar' to the rest in his series. The book was well worth the credit. The concepts and theory behind these works are on the leading edge of humanity trying to figure itself out, even thou heavily based in eastern beliefs. While listening, all the concepts make sense, but in real life as usual, holding or implementing these concepts are difficult in the practical world. The concepts are presented well, but if you have never been introduced to them, further readings of his works and others is highly recommended. Getting a hold of oneself is the key to this and its sound advice, worth the read. 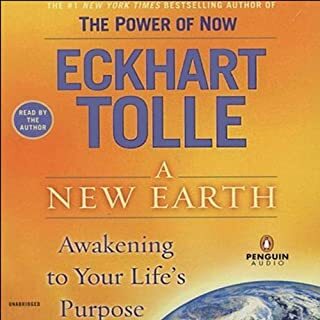 I enjoyed this but after first listening to the "New Earth" as my first in his series I see that the same concepts and sometimes the same thoughts, just reworded, are repeated over again. Of course he has a good message and of course he is selling books, in just the same way as the other self help gurus. So far, I am doing well with the 4 E's I have listened to, and can listen again at any time, unless something comes out totally new. If you want a broad summary and compilation of his works, go for the "New Earth" which touches on it all. Then if you wish some future enhancement, mind you with some repeating of the same material, then choose this or another of his works. He is a good author, I believe in most of the message, and this book is worth the credit. Thanks E.
I'm so glad I got this book! Before I buy it I read all reviews, and the negative ones made me hesitate. Finally I decided to try it - and I'm so glad I did!! 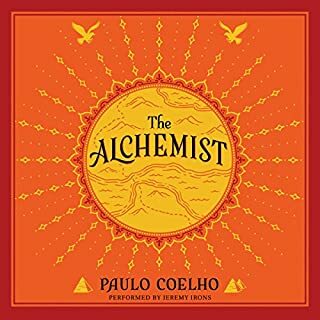 This book is now my all time favorite - other spirituality, self-help or philosophy books seem so unenlightened, so incomplete. A must-read for anyone with big questions, big problems, or simply not 100% happy (does this leave any one of us out?) 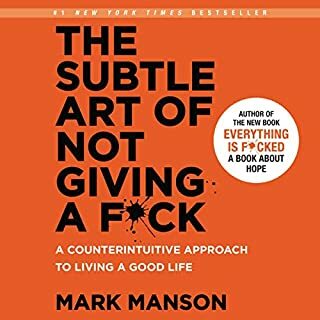 You will love this book - if a single book can lead you to enlightenment and can elevate your consiousness above everyday problems, negativity and conflicts, then this is it! What made the experience of listening to The Power of Now the most enjoyable? I have always been someone who spends 80% of my time thinking of the past or planning for a future that normally never works out as planned... major wastes of time. Rarely am I in the moment or enjoying that I am experiencing that second. I am normally recalling something, thinking of something else, etc. and don't absorb new things. I lost a brother 20 years ago in a car accident and lost my mother a little over a year ago to Cancer. While I certainly thought of the past and what I could have said to my brother, etc. the loss of my mother threw me into a tailspin. I would relive every moment of her illness daily, every word we said in her final months (all wonderful, we were very close) I would also find myself back to my brother's death and then constantly in panic worrying about my father's future, the rest of my family, etc. My mind was racing 24/7. I would wake in the middle of the night in sheer panic. My doctor have me something for sleep, something to take for anxiety and then anti-depressants. Everything possible to shut down my mind. It helped, but I am not one to take pills and hated having to take this stuff all the time with some but uneven results.I am not one to read books. I can sit still for maybe 20 minutes and then I close the book and never finish it. 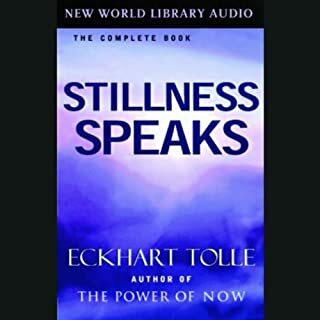 I joined audible hoping to be able to learn from books I knew had knowledge I needed, but I would never sit and read cover to cover.First, I listened to Jill Bolte Taylor's "My Stroke of Insight" and learned so much about quieting the mind. Then, I moved on to "The Power of Now". I have taken notes and used many of the techniques Tolle recommends. I truly feel much calmer, if I catch myself looking back of forward I pull myself into the present. This has been the first time in many months I am not obsessing about the past of worrying about the future. I will say that sometimes Tolle speaks over the heads of the listener and the format (Q&A) causes him to repeat himself. 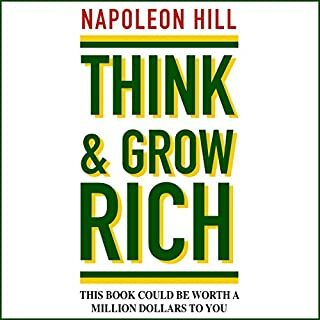 But there are many nuggets of valuable information in the book that you must listen to. Well worth the time. 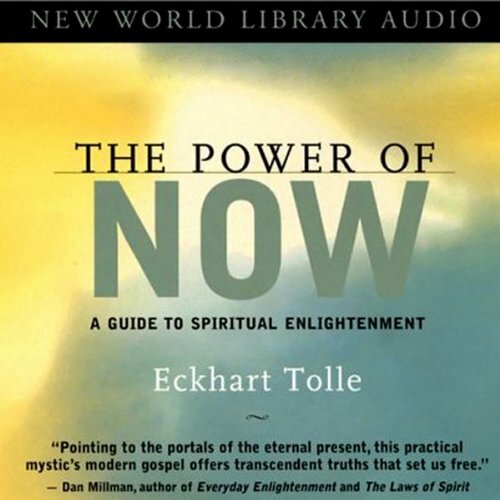 What other book might you compare The Power of Now to and why? "My Stroke of Insight" by Jill Bolte Taylor. A similar theme of being present. Personally, while I understand the value of a Q and A format, both the male and female readers used to ask Tolle's questions often sound as if they are reading off a prompter or seems to be trying too hard to pretend they are the ones really asking the question. The bouncing from male to female from chapter to chapter is also distracting. I really enjoyed this book. What I particularly liked was the Question / Answer format the book takes. The author discusses a point and he then reads questions that have been posed to him from audiences in the past. I found it particularly rewarding because often times a question I had in my mind was later asked and answered by the author. If you are a veteran of self help or spiritual seeker this book will ring true. If you new to this some of the discussions might be a little deep but I think it has a lot to offer. I really enjoyed having the author narrate this. I'd love to hear this person speak. The content is great but the quality of audio is not. Tried type 3 and 4 files on different devices with the same result. Doesn't happen in all chapters but more frequently than one would want. Its annoying. 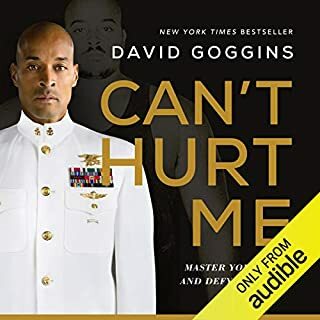 This audio book is truly a rare gem. 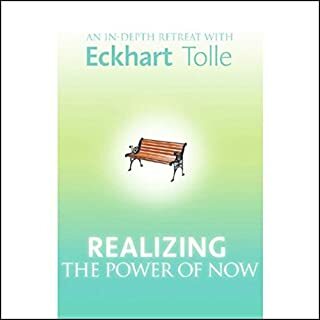 Not only does Eckhart masterfully distill the ancient teachings and wisdom for achieving inner peace but explains its difficult concepts in a very clear and effective manner. A must read for those seeking for enlightenment. J'ai lu une première fois le livre en français. Avant de passer à l'audiobook ! Extraordinaire ! Life changing ! I cannot imagine how i could have gone on with my life without this wisdom. Truly amazing and became an eye opening book for me. Needs to come at the right time. ce livre a le pouvoir tant attendu de poser les bases d'une vie et d'une vision totalement nouvelle. il transcende a n'en pas douter les principes de notre société et challenges ses acquis. il a le pouvoir de transformer véritablement l'individu et le monde.